The CNPA acts as a planning authority within the Park; this simple statement has engendered a good deal of debate both before and after the Park’s creation almost 15 years ago. Dealing with planning applications is a relatively small (but important) part of what the CNPA does but, inevitably, it is one often at the forefront of people’s thinking. There was a sometimes heated debate about whether the CNPA should be a planning authority or whether the planning function should remain with the local authorities. Loch Lomond and Trossachs National Park did not see such an argument; it seemed a perfectly logical move to establish LL&TNPA as a planning authority with the ability and duty to prepare a Local Development Plan and determine all planning applications lodged in that beautiful and sensitive area. The outcome here saw the CNPA established as a planning authority but not a ‘full’ one. We have the duty to prepare a Local Development Plan and we have the power to ‘Call In’ applications that are judged to be significant to the Aims of the Park. This judgement does not depend on whether an application is ‘good’ or ‘bad’; the test is simply an objective one of significance. There was concern that giving the Park planning powers would create an additional layer of bureaucracy, that the new organisation would make life difficult for applicants, seek to ‘preserve’ the status quo and be a barrier to good development. In practice these concerns can be amply demonstrated to have been groundless. Allowing for the fact that almost half of the Park is covered by European environmental designations and that we have some of the most important landscapes and habitats not just in Scotland or the UK but in Europe, the CNPA’s record of supporting appropriate development is a good one. The second area of concern – and one that has featured in this newspaper on a number of occasions – involves what has been called a ‘democratic deficit’. This theory postulates that – uniquely – decisions on planning applications within the Park are taken by people not elected by those most immediately effected by those decisions. In this, I would argue, the CNPA is no different to local authority planning committees. The CNPA has 19 members; 7 are directly appointed by Ministers, 7 are nominated by the 5 local authorities and 5 are directly elected. This reflects the basic fact that this is a National Park established by the Scottish Parliament. It is of significance to everyone living in Scotland, not just those fortunate enough to be living within the boundaries. An application in Aviemore, for instance, that is called in by the CNPA is determined by our Planning Committee. But were that application not called in, it would be determined either by a Highland Council planning officer alone, or by The Highland Council’s South Planning Application Committee, the 16 members of which are drawn from wards stretching from Mallaig to Cawdor. As it happens there are currently two Badenoch & Strathspey councillors on that committee. In Aberdeenshire, an application lodged in Ballater and not called in, is determined by the Marr Area Committee which comprises all councillors representing wards in that council Area. Of the ten members, three are elected by folk in Ballater; the rest represent the Banchory or Huntly & Strathbogie wards. Further, the law currently requires any application deemed to be ‘national’ or ‘major’ or which is ‘significantly contrary’ to the Local Plan to be determined by full Council. 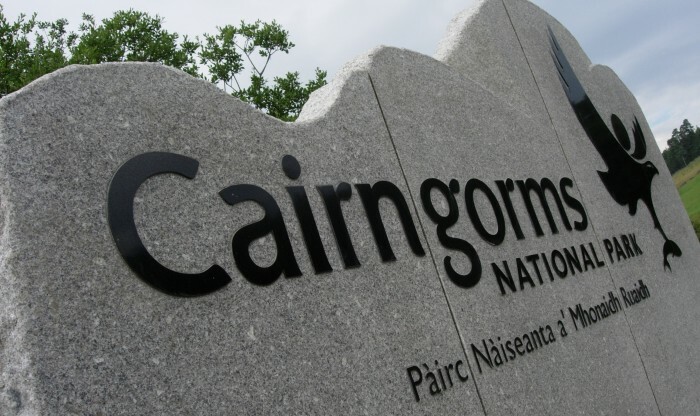 In The Highland Council, a ‘major’ application not called in by the CNPA would be determined by 74 councillors, 4 of whom would represent voters in Aviemore. In Ballater the figures would be 70 and 3. Unless the system were so arranged that sole responsibility for determining planning applications within a given ward was vested in the councillors for that ward, it will always be the case that planning applications are taken by people who are not directly accountable to those most closely impacted by the application or the outcome. Public opinion is of course a material factor in determining a planning application but it is far from the only consideration. I am not sure the system – or the outcomes – would be improved were decisions to be taken only by those with a fairly keen personal interest in the ballot box. The CNPA’s record as a planning authority is a good one and we have a strong team of planners who work with applicants as well as being conscientious in their approach to objectors or those making representations. Despite the ‘call in’ arrangements – which as a 15-year-old compromise are not ideal – the system does work efficiently as demonstrated by the CNPA’s performance figures. A key to this success is the close working relationships established with planners in the five local authorities and the steps taken to make the process as simple as possible for applicants. There is no doubt in my mind that the CNPA requires planning powers if its is to deliver its Aims; to deliver for those who live and work in the Park but also for the people of Scotland, the UK and Europe.